XM Group is a group of regulated online brokers. Trading Point of Financial Instruments Ltd was established in 2009 and it is regulated by the Cyprus Securities and Exchange Commission (CySEC 120/10), Trading Point of Financial Instruments Pty Ltd was established in 2015 and it is regulated by the Australian Securities and Investments Commission (ASIC 443670) and Trading Point of Financial Instruments UK Ltd was established in 2016 and it is regulated by the Financial Conduct Authority (FCA 705428). 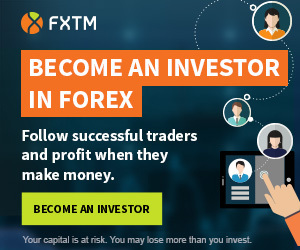 XM.com is a big Forex broker with over 1.5 milion opened real trading accounts, that support over 30 most popular languages and provides multiple local payment methods. Broker gives a wide range of investment instruments and trading platforms that meet the requirements of mobile devices. Traders can choose between three types of accounts: Micro, Standard and XM Zero. Micro and Standard accounts have the same floating spreads without commission, while XM Zero accounts have very low spreads starting from 0.0. The commission for the XM Zero Account is $3.5 per $100,000 traded. Broker provides many interesting promotions including no deposit bonus, deposit bonuses, loyalty program and much more. with­drawal meth­ods XM Group accepts the most commonly used Local Payment Methods today including Credit/Debit Card, Neteller, Skrill, Bank Wire Transfer, etc. Free VPS You can get free Virtual Private Server (VPS) to increase the speed of your trades. Zero fees XM covers deposit and withdrawal transfer fees. and Trading Point of Financial Instruments UK Ltd are not eligible for the bonuses. Please rate and add your opinion about XM Group. I’ve only just traded demo with XM. So i recently opened a real account taking the $30 bonus. I have not used the bonus at all as I am looking for another broker. Their demo account has ridiculous pairs I haven’t even heard of. The EUR.USD spread for limit orders are 40 pips away from market price. I dont understand why this is not communicated on their website. it seems certain pertinent info is deliberately kept out of the new client’s eyes but found out later once you’ve gone through the process of registering. Absolutely ridiculous for anyone using a scalping strategy. This has been a complete waste of my time. I am looking for another broker. This Broker is the greatest Scammer I have ever seen. Opened an Account on 9th June 2016 and was verified and subsequently given $30 No deposit bonus on 10th June 2016. I traded till tuesday 14th June 2016 and made $204 on the $30 bonus. I placed a withdrawal on that 14th June 2016 of $150. As soon as i placed the withdrawal, $150 was taken off the account remaining $50. The bonus also was taken away. But I was expecting my fund only to get a notification that i had broken rules of the bonus. And my withrawn fund and my remaining $50 balance were zeroed. They are fake Broker. Why wait till the withdrawal before they made the observation which i know was just a false representation. They can never be trusted. Dont go to them. My account No was: 3021816. Please take them off this site and reputable Brokers be listed. They are fake and scammers. Try gray ‘Open Demo Account’ button on this site but if you are a citizen of one of those countries The United States, North Korea, Iran, Myanmar, Cuba, Sudan or Syria you cannot open XM account.